Maize cultivation in Tanzania is hampered by the presence of maize stalk borer (Busseola fusca) and Fusarium verticillioides, causing ear, kernel and stalk damage. Furthermore, accumulation of fumonisin mycotoxins deteriorates grain quality. Optimized agronomic practices remain the primary line of defense against pests and diseases. Therefore, the aim of this study was to gain insight into the effects of hybrid, sowing and harvest date on injuries due to maize stalk borer, Fusarium verticillioides symptoms and fumonisin contamination in maize grown in Tanzania. The analyses of the data collected during two growing seasons (2013 and 2014) showed early sowing and early harvesting as important measures for minimizing these problems. Although the impact of hybrid was not always significant, the early maturing hybrid STUKA M1 was consistently less susceptible compared to the hybrid STAHA. Correlation analysis revealed that stalk borer injuries, Fusarium symptoms and fumonisin levels were positively associated. 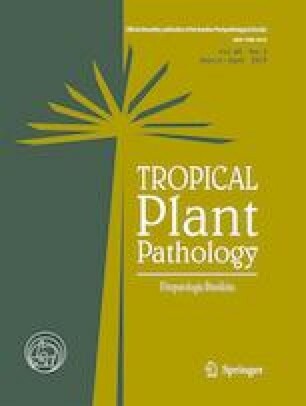 The associations between yield and stalk borer injuries, Fusarium symptoms and fumonisin levels were negative, indicating that besides the mycotoxin issues, the insect and fungal pathogen also contribute to yield losses. Richard Raphael Madege and Sofie Landschoot contributed equally to this work. The online version of this article ( https://doi.org/10.1007/s40858-018-0233-1) contains supplementary material, which is available to authorized users. The authors are grateful for the research funding provided by VLIR (ZEIN2011PR388). The technical support given during field and laboratory activities at Sokoine University of Agriculture (Tanzania), Tanzania Drugs Authority (Tanzania) and University of Ghent (Belgium) is highly appreciated.